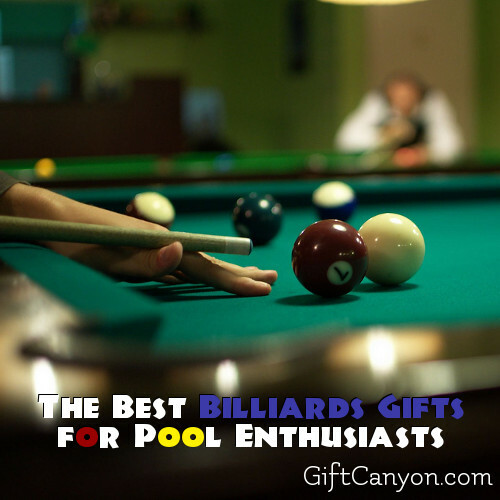 Home » Blog » My Favorite Things » The Best Billiards Gifts for Pool Enthusiasts! Playing pool needs someone to have both a strong mind for strategy, a good eye for angles and a powerful grip to strike well. That is why I really admire those who play billiards well. If you have someone who loves to play this classy sports, you just have to take a look at these gifts for pool players. This list of billiards gifts do not only include pool tables, cue sticks and balls, but also keepsakes that let your pool playing geek that they are obsessed with the game! Here are some billiards gifts for everyone. One of the best gifts you can give to anyone is something customized. It shows that you want to make your present stand out well from the others and you want to assure that they are receiving something one-of-a-kind. Here are some customized pool gifts. 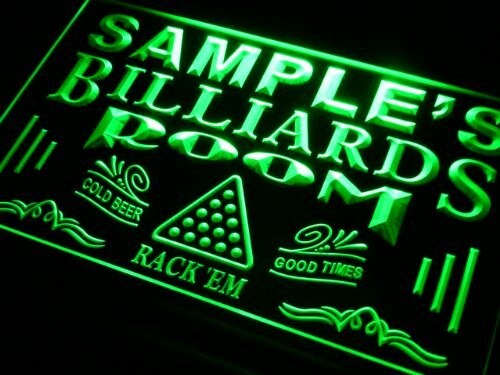 How about a personalized neon billiards sign? The recipient can hand it on the door to the game room or mancave. This one is so awesome! 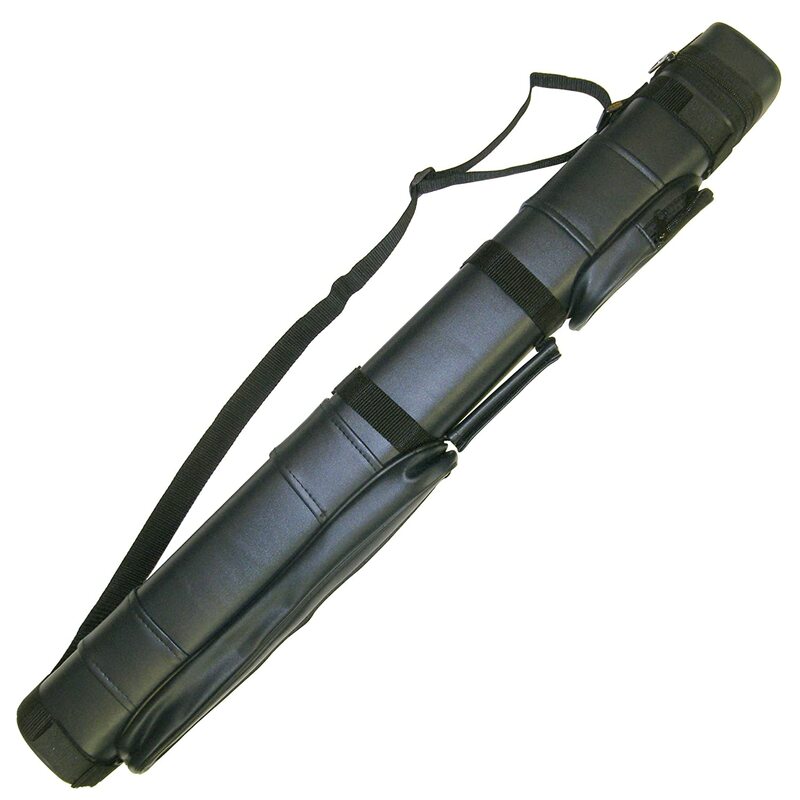 Custom pool cue sticks are perfect for the experienced pool player. 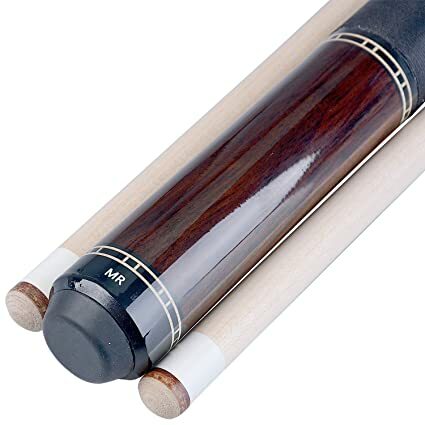 Giving them a new cue with his name engraved on it ensures it does not get stolen, since high quality pool cues are quite expensive. A pub sign! Even if he does not own a home bar, your billiards player can hang this on his wall or room door. 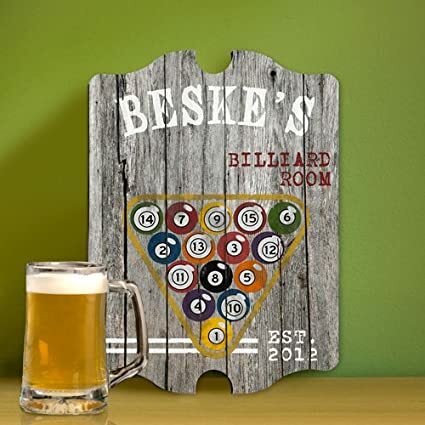 A rustic-looking billiards pub sign is one of the most awesome billiards gifts. How About a New Pool Table? He probably has a pool table already, but is it something like this outdoor billiards table? An outdoors pool is much cooler because you can play alfresco with your buddies during barbecue weekends. Besides that, an avid pool player will be happy to receive another pool table, even if he already has one, right? Try the Playcraft Extera Outdoor Pool Table. It has a lot of positive reviews. You Can Also Give a Lucasi Pool Cue Stick! The Lucasi Cue Stick is like the Ducati of pool sticks. It is really elegant, really luxurious and should only be gifted to the most passionate of billiards players. Got someone who is a frothing-in-the-mouth billiards addict? He probably has been salivating over a Lucasi. Get him one. The video features a Lucasi LZ32, which is available at Amazon here. That is an awesome billiards cue. 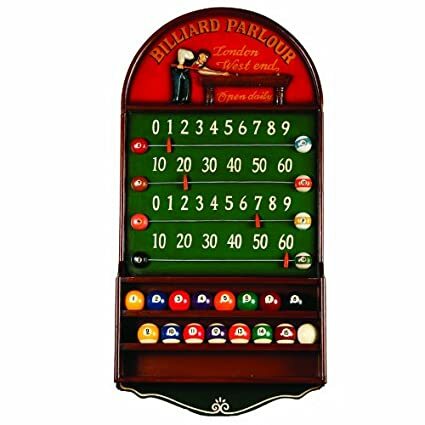 Pool Table Accessories as Billiards Gifts! These are much like the doodads of the billiards world. A person can probably live without getting billiards gifts like these, but they will be overjoyed to receive them. One always sought-after billiards accessory is a pool light (or billiards lamp, for some people). You can probably make do with traditional florescent lights in the room, but an overhead pool table lamp just makes a pool table gorgeous, especially when everything else is dim. An overhead billiards lamp makes a pool table look friggin’ gorgeous. Cue carrying bag. For those who goes to tournaments. Or those who plays pool at their buddy’s house. Billiards scoreboard. Because men love some competition! Cleaners for billiard balls and the pool table. Racks for the cue stick and balls, if he does not have one yet. Too cool! 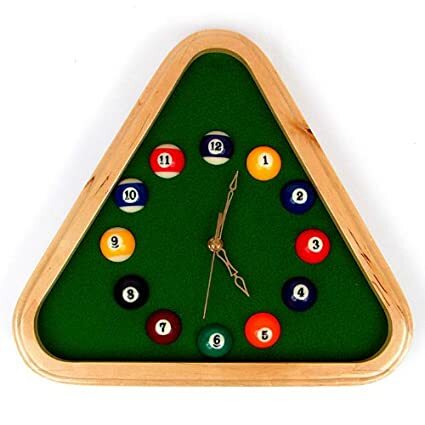 A billiards clock! 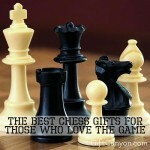 Of course, billiards gifts do not have to be something used while playing billiards or on a billiards gaming room. This super cool 8-ball cuff links! Looking for More Hobby Gifts? Video Game Bedroom Gifts – for gamers. Cycling Gifts – for those who love to ride their bicycles. 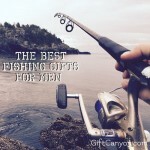 Fishing Gifts – for the outdoorsman who love to catch their meat from the water.